After the pending departure of its chief executive officer, British railway company RPMI Railpen will replace him with the chairman of its board of trustees, who has previous experience as a utility official. John Chilman will start running both the railroad company’s pension administration and its investment arm in June, leaving his job as National Grid’s group head of pensions. He has chaired the railway’s board since 2007, becoming trustee chair in 2014, according to his LinkedIn profile. The new head also held various director positions with Railpen since 2009. 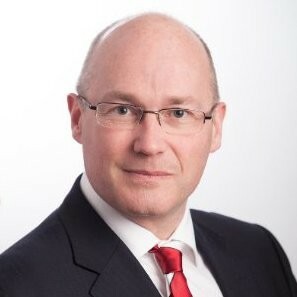 Chilman will give up the Railpen chair in March, after CEO Phil Wilcock departs to head the UK division of insurance giant AIG. Wilcock became Raipen’s chief only last February and announced his departure for AIG last month. Three of Railpen’s managing directors, David Maddison, Paul Sturgess, and Julian Cripps, will run the fund until Chilman’s June arrival as CEO, the business confirmed. Babloo Ramamurthy, Railpen’s chairman, said the incoming CEO’s previous experience with the firm and “innovative” pension reputation will be “invaluable” to the firm. Chilman’s successors for his other roles have not been announced, but “the Trustee has a robust succession plan in place, which is well underway,” a Railpen spokesperson said. Chilman is also one of the Nestlé UK pension fund’s two independent trustees. National Grid could be reached for comment.